This transformation and addition to a 1960’s modern box provides new living spaces for a couple to age-in-place. Picking up on the modern roots of the original home, the board-and-batten-sided, one-story addition includes a Family Room and Master Bedroom suite, linked by a copper-covered and tiled gallery that connect the old and new parts of the house. Throughout the home, custom maple and painted cabinetry provides abundant space for the client’s art and crafts collection, books and clothing. A marble-lined Master Bath is adorned with bold hardware selections. 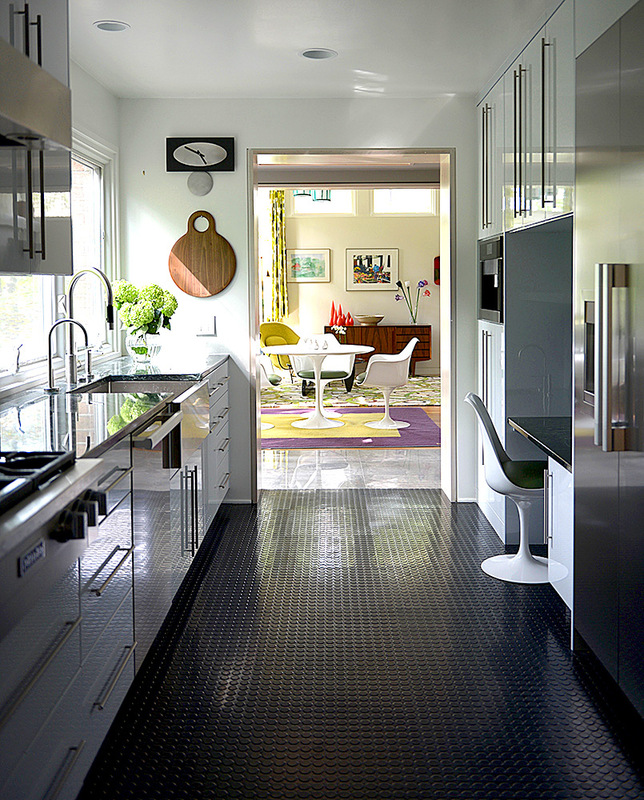 A new, clean-lined galley kitchen with rubber-tile flooring provides a variety of work stations for the couple to cook together. A bountiful garden of native plants, developed by the owner, surrounds the house on all sides, and is visually connected to the interior by the generous fenestration.